يحظى فندق فندق هيلتون ملبورن ساوث وارف بمكان متميز في محور ملبورن تسوق, سياحة, مطاعم في منطقة Melbourne CBD الفاتنة. يمكن من هنا للضيوف الاستمتاع بسهولة الوصول إلى كل ما تقدمه هذه المدينة النابضة بالحياة. كما يمكن الوصول بسهولة إلى DFO South Wharf, Melbourne Maritime Museum, Seafarers Bridge. استمتع بالخدمات الراقية والضيافة التي لا مثيل لها بهذا الفندق في ملبورن. يمكن للنزلاء الاستمتاع بالميزات التالية: خدمة الغرف على مدار الساعة, مكتب الاستقبال على مدار الساعة, مرافق مخصصة لذوي الاحتياجات الخاصة, تسجيل وصول/خروج سريع, واي فاي في المناطق العامة أثناء إقامتهم في هذا المكان الرائع. في الفندق غرف نوم يتجاوز عددها 396، كلها مجهزة بعناية وجمال وبعضها مزود بـ تلفزيون بشاشة مسطحة, حمام إضافي, مرحاض إضافي, سجاد, قهوة فورية مجانية. صممت خدمات الاستجمام في الفندق والتي تتضمن مركز للياقة البدنية, تدليك لمساعدتك على الاسترخاء والراحة. إن كنت تتطلع إلى إقامة مريحة وهادئة في ملبورن، فستجد في فندق هيلتون ملبورن ساوث وارف بيتك الثاني. Near the shopping arcade, located along the riverside with many good bar and restaurants. I cannot fault the staff from reception to the restaurant. They accomodated my request for a high chair in the room. The hotel is not new, but it's well kept. I feel that it suits a family well. Cons - The hotel is a bit of walk to the tram, further walk if you want the free tram. We stayed in a 2 bedroom bay view suite which has a great view! Room was clean and modern and we loved the daily spread of breakfast. The only downside was that the sinks were too small for use and the water pressure isn’t great in the shower. Location is excellent just by the wharf and DFO shopping mall just at the doorstep. Though not exactly in the CBD, it is only short walk to the free tram station. We stayed for 3 days in a family room with 1 double bed and 1 single bed for our daughter. Hotel is great, location is next to DFO and Melbourne Convention Centre in South Wharf. However you should walk quite a bit to get to the nearest tram stop to get to CBD. Buffet breakfast is also great, with many choices of meals available. Will be back to this hotel for our next visit! Its our first time to stay in Pan Pacific Hotel and you easily distinguished their excellent hotel and service given from the employees. 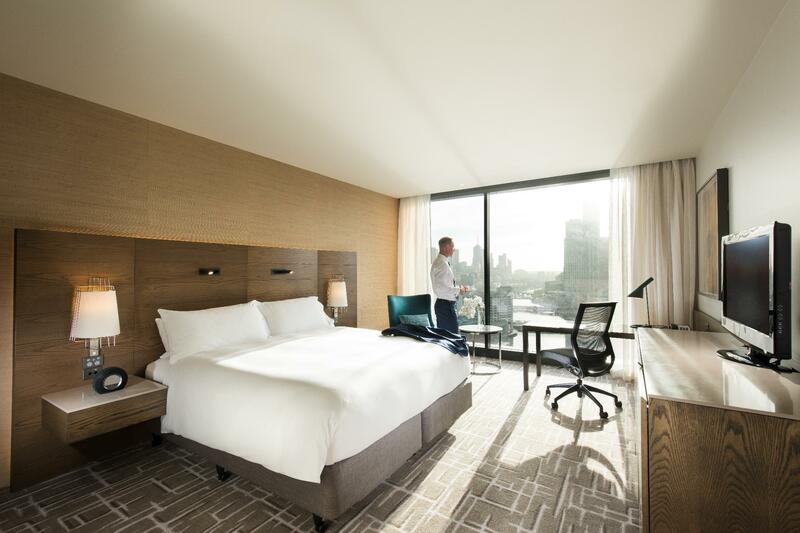 The moment we step inside you can feel the atmosphere of a welcoming spirit of Pan Pacific. Service, service, service.... is truly what makes this hotel great. Smiling staffs, they are all conversationalist, we love it! Well trained staffs, congratulations! Easy access from and to airport via car. For pple who wish to do self-Drives in OZ this hotel is great as you do not need to drive into those busy small lanes in the city and plenty of car park lots at the convention centre with discount card from the hotel it reduces your car park rate to half for over night parking. Showed up with my GHA Discovery Black card and was offered a double upgrade and lounge access. The room had a magnificent view of the ciry, and the club had an awesome food and beverage selection. Will be back again! Second time here and loved it. staff are all amazing and the Hotel is beautiful. 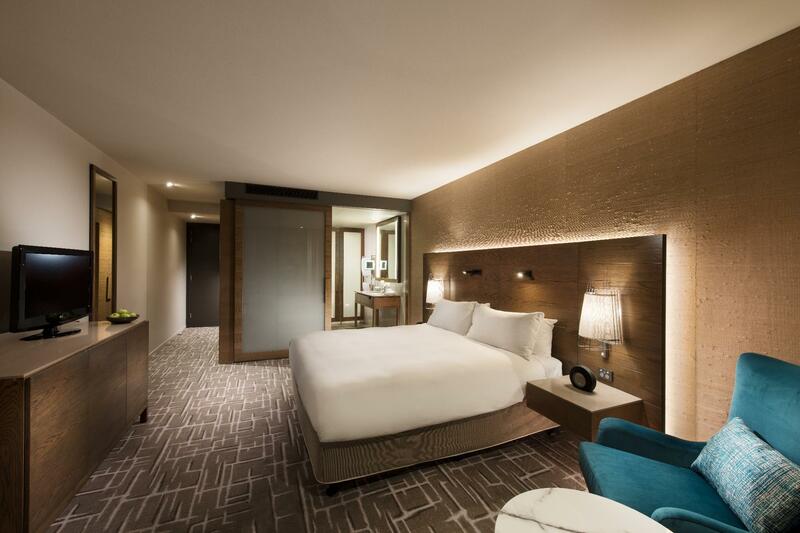 Everything you expect from a new modern hotel but delivers so much more. Love it here more than some Five star hotels in Melbourne that do not measure up with service delivery and guest experience . Youll feel so comfortable here. The buffet breakfast was just like you would get overseas and so fresh. Catering also for every allergy. The staff here are so professional, yet happy and friendly. The rooms always immaculate, so comfy and the view is amazing. Just remember to set your alarm with 100% blackout blinds. We love staying here and wish we could afford to every time. 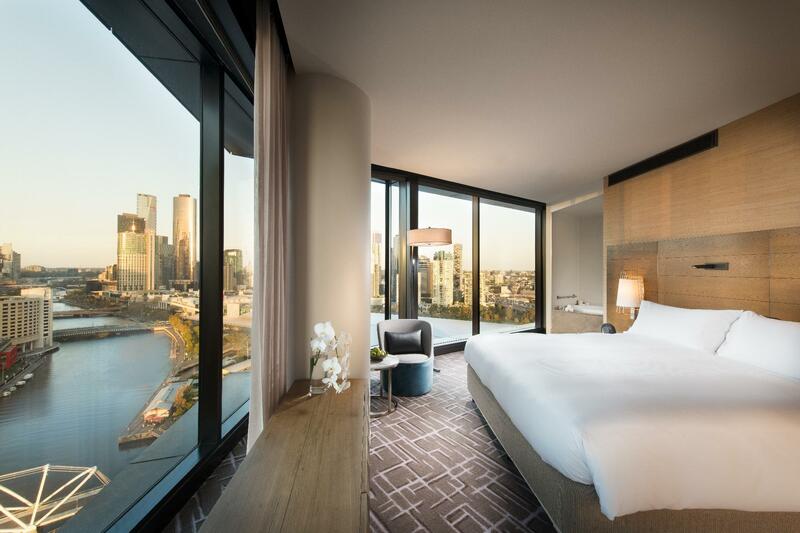 From when we arrived at check in the staff could not have been more friendlier, the room was excellent with a view down the Yarra River, breakfast and drinks in the evening was a bonus. The hotel was close to all amenities and transport in the city is excellent. Stayed there because we had stayed at their Singapore facility ans were very pleased with that experience. This is an excellent facility with friendly and helpful staff and a convenient location. It is adjacent to the Melbourne Convention Center. Location as good with many restaurants and other places within an easy walk. Taxi fare from the airport to the hotel averages around $65AUD. 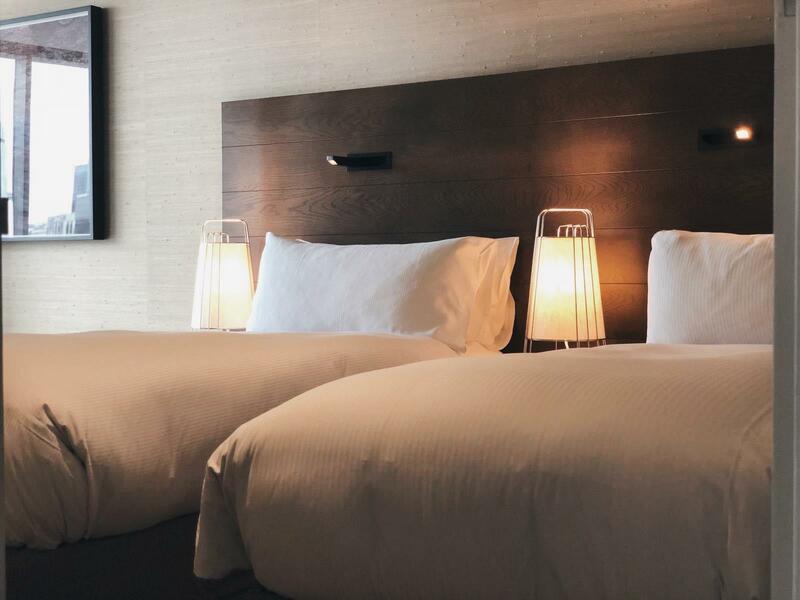 My friends and I stayed at Pan Pacific for three nights in the two-bedroom suite. The room was very clean and the bed was so comfortable! The hotel staff was very friendly and attentive. We really enjoyed our stay at this hotel and would recommend to anyone. 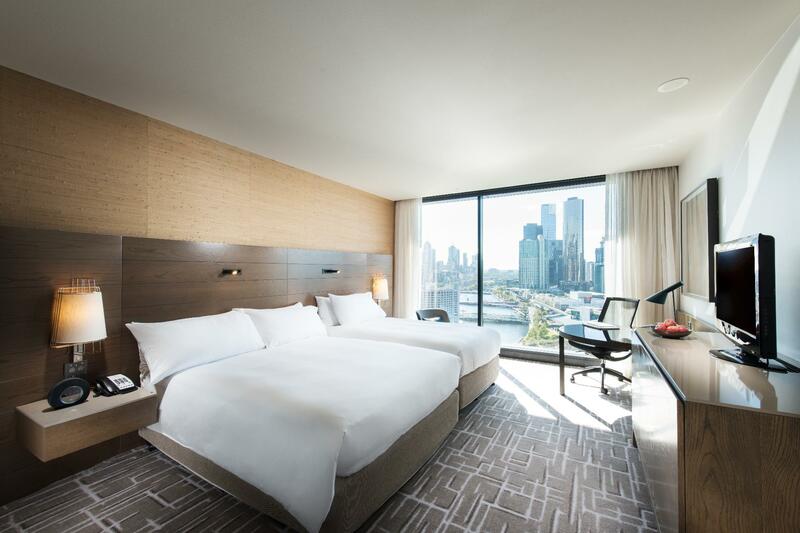 A great place to stay in Melbourne for holiday. Nice room and comfortable bed. 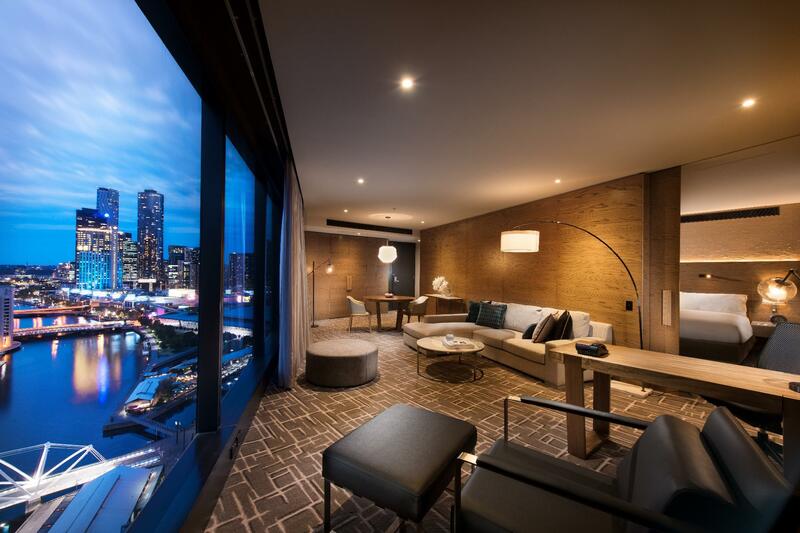 Has a beautiful view of the city and Yarra River. Hotel location is just next to the DFO malls and is convenient to access the tram stations to the city centre. Thank you for making our stay very pleasant.. from birthday cakes to wine ! Thank you to Sabrina for organising my upgrade to a premier room with a great view.... Appreciate Jennifer for organising breakfast Birthday Cake and wine .... and the rest of the team at the breakfast lounge they are all fantastic and hard working.... Checking in was fast and room was ready .. location was fantastic .... we can’t wait to come back . Good location with clean rooms. I traveled with 4 other coworkers and we were all very pleased with choosing this Hotel. 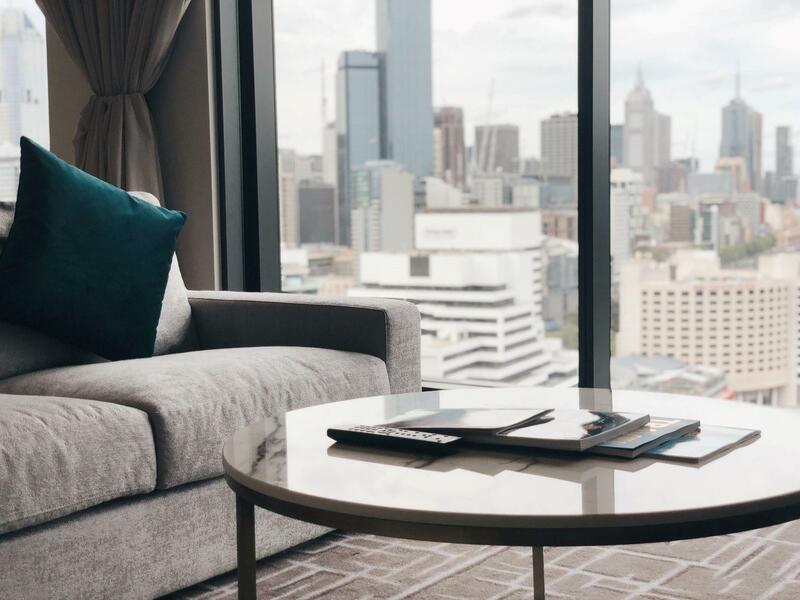 We have been telling others about your hotel, its location and convenience which provided us with the ease of being able to get around Melbourne. The location along the Yarra allowed us to cover a lot of ground in walking and use of public transport to get around. Great service and thanks for making our stay enjoyable.